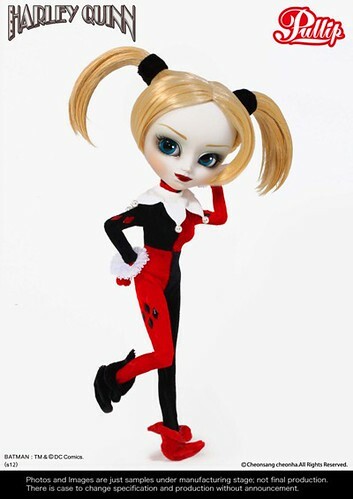 Groove has just announced a New York Comic Con exclusive Pullip, it’s kind of interesting because they have never had a NYCC exclusive Pullip before and well it’s Harley Quinn. 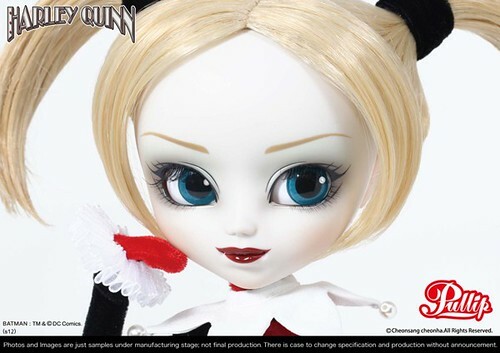 Harley Quinn is one of my favorite comic book character so I’m excited, I love her so much that I already have an amazing custom Pullip of her by Requiemart . Harley Quinn will be limited to 400. 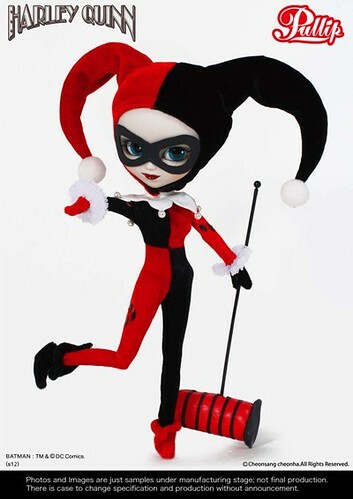 She appears to come with a giant mallet which makes for a pretty damn awesome accessory as Harley has been known to carry around a mallet in the comics etc. Couple of quick observations- I fear her stock is going to be a stain monster. 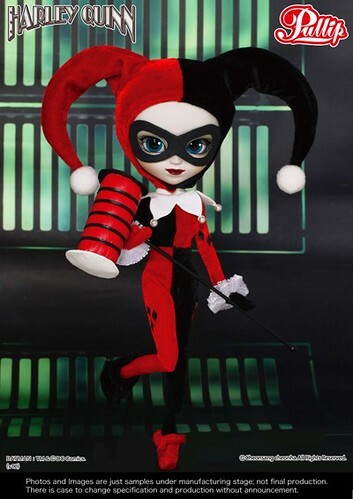 I am assuming from the promo shots that the mask is sewn unto Harley’s jester hood, I’m not sure if the mask will be removable from the hood or not but I fear if left on the mask may stain her face plate over time. I actually quite like her face up, it’s pretty rare for a Pullip to look quite so evil but I think they did a reasonably good job of capturing her likeness. 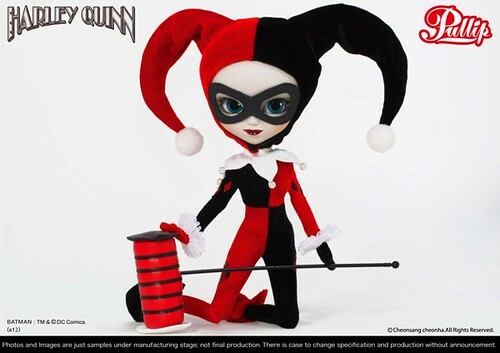 I do like the official Harley Quinn quite a bit and I plan to buy her as soon as she becomes available but honestly my heart still belongs to my beloved custom Harley Quinn. 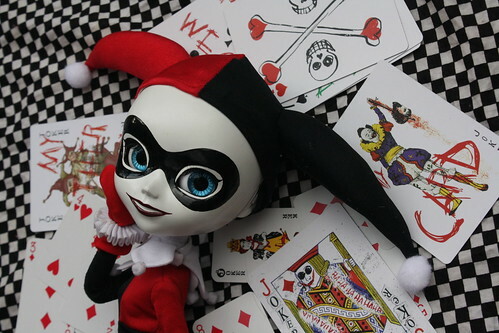 This entry was posted in Comics, Doll, Love that Joker, Pullip and tagged batman, harley quinn, Pullip. Bookmark the permalink. I was suprised there was one for NYCC too! Every year I do my mad dash to the Jun Planning booth at SDCC, but I’m no where near NYC. For once I’m glad other shops are selling them online. 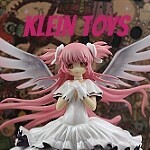 It’s pretty evil, 2 years ago they’ll only sell 10-15 per day at the con then give like 100 to a store to sell. 😦 What’s the point of making it Exclusive if it’s not really exclusive. At any rate…… I LOVE THIS HARLEY!!!!!!!! She went straight on display. They may as well have made Joker too. I wonder who will be at SDCC this year… :O Joker? Poison Ivy? NYCC is starting to get a lot more attention in terms of exclusives now though I still haven’t found that motivation enough to actually attend just yet ^^; In some ways it is good that they are selling some online as more people get the chance to buy it, like the Doll Carnival Exclusives from a few years ago where the only way you could get them was to attend the event and the prices ended up going insane on the secondary market. I also honestly kind of doubt that they would have sold out completely by the end of NYCC if they had just sold at the con. Harley is very cool, no word on when/if they will ever make a Joker. With the forthcoming Superman movie my money is on a Superman Taeyang for next year and probably a Lois Lane Pullip.